In my previous post, I posted the raw footage recorded from the Nexø II onboard cameras. These videos give an excellent qualitative indication of how well the video downlink worked. I have now also processed the received telemetry data and have a more quantitative idea of the performance. In my previous post, you could watch an edited video from the Nexø II onboard cameras. I have now also made the raw footage available on my YouTube channel. As I mentioned last week, the Gumstix Overo Fire COM and the Tobi expansion board looked surprisingly well after the crash landing of the failed rocket. Yesterday, I have had a chance to take a closer look at the boards and see what damage has occurred to them. Once I separated the two boards from each other it was obvious that the 70 pin AVX connectors were damaged on both board. The electrical connections on the Gumstix Overo Fire are still OK despite the damaged connector, but the Tobi board got damaged beyond repair (PCB tracks ripped off). Below you will find some close-up photos and a video about the damaged connectors. What a beautiful photo! 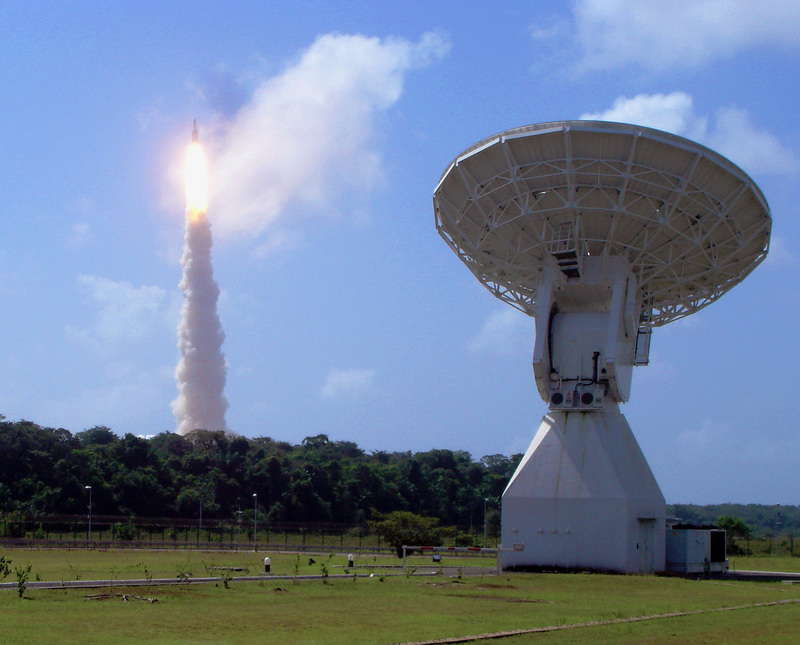 Ariane 5 V188 with Herschel and Planck on board rises above ESA’s 15m ESTRACK tracking station at Kourou, French Guiana, just after liftoff at 15:12 CEST, 14 May 2009.